The olive-oil selection at the grocery store can be out of control. There are so many selections, and every bottle seems to be labeled "extra-virgin," "cold-pressed," and "made in Italy." But, one will retail at $10 and another at $50. It's a slippery mystery. Nicholas Coleman, the chief oleologist at Eataly in New York, says buying oils is much like buying a bottle of wine. The trick is reading the back label carefully. Buying bottles in America is especially tricky since we only produce 2% of the world's olive oil, but are the third largest consumer. So, basically we're the dumping ground for a lot of unwanted olives. Thankfully, Coleman let us in on a few secrets to make an educated buy. Just as you wouldn't serve the same wine with every meal, the same goes true for oils. Coleman recommends that if you're budget conscious, it's good to have three oils. Purchase two high-quality extra virgin olive oils for finishing atop meals. One should be for delicate foods such as pesto, fish, and salads and another more robust option for heartier foods like grilled steak, tomato sauces, and soups. Finally, have a cheaper option or a "workhorse" oil for sautéing and marinading. Always look for a more darkly tinted bottle versus a clear one. Light will cause the oil to photo oxidize and lose its flavor. 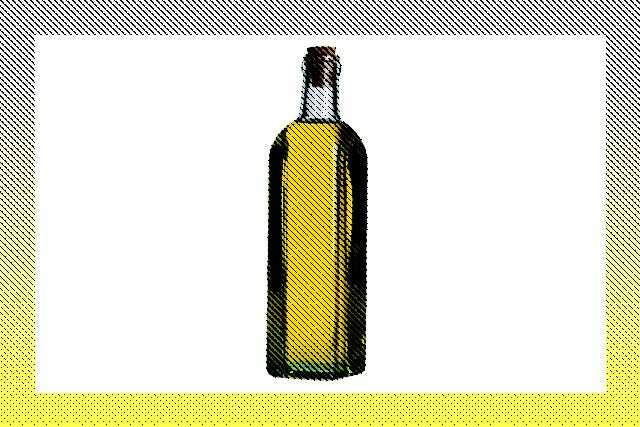 One tricky aspect of the industry is that while a label may say a specific oil was made in Italy, it could actually be only processed there. The olives could be from a variety of places. The more specific it is about the origin of the nuts themselves, the more complex and pure the taste will be. A good bottle of wine tells you the origin of the grape; the same is true if you have an oil coming from one kind of olive. Coleman says this idea of geo-specificity is key. When olives are grown in different climates (come from Greece, Spain etc. ), there is less flavor harmony. If the bottle has been lingering in a warehouse in Florida, chances are it will be flat. Unlike a bottle of wine where age is better, the most recent the harvest date means it'll be more flavorful. If your oil is next to the oven, the residual heat will cause it to go flat. Ideally, you should store it in cool wine-cellar-like conditions, but never in the refrigerator.